Disney fans love searching the parks for hidden Mickeys (HMs). Our Official DisneyLies Photo Correspondent is no different, and she sent us photos of a number of HMs from a recent visit to Disneyland Resort. This HM, found in New Orleans Square, has unusually small ears. 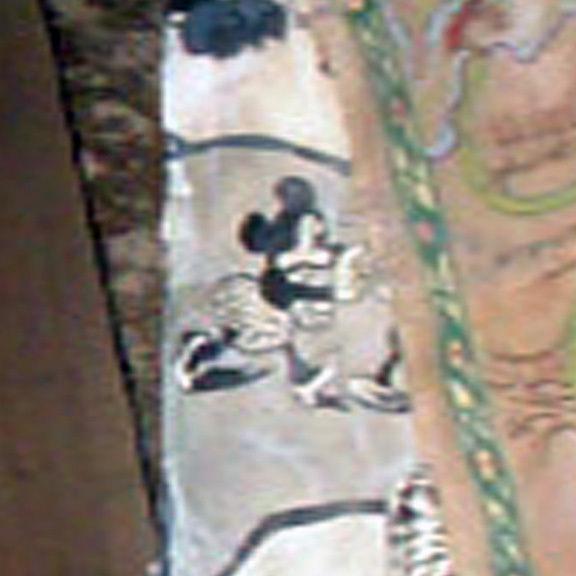 We assume it is supposed to represent a young Mickey Mouse. 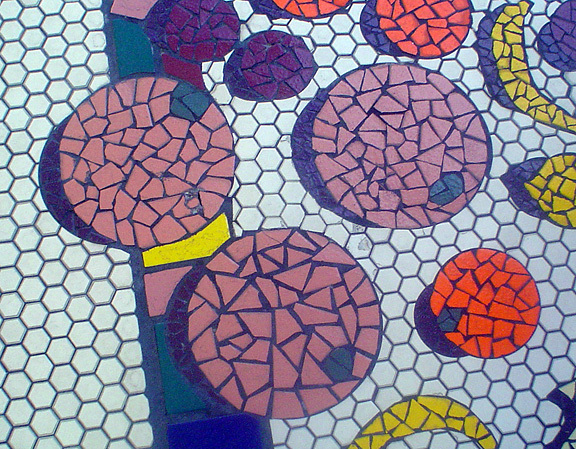 This HM, from Disney’s California Adventure, is of the “exploded Mickey” type. Exploded Mickeys can be found in a number of DCA locations, and Disneymaniacs are hopeful that, during the extensive demolition that will preceed upcoming DCA improvements, they will get to see an exploded Mickey actually explode! 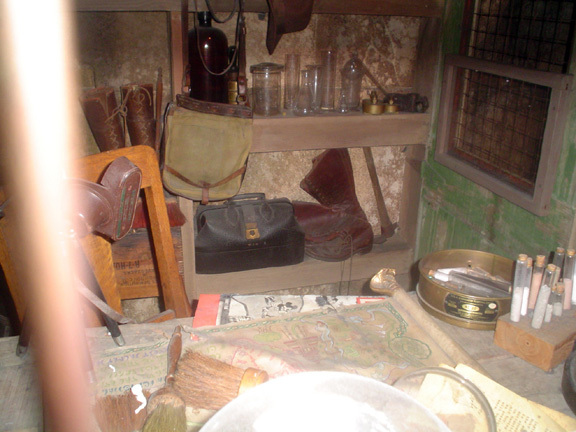 Do you see the HM in this photo from the Indiana Jones attraction? No? Here, we’ll crop, rotate, stretch, and enhance the photo. See it now? If you answered yes, then you’re wrong! That’s not a hidden Mickey, but a hidden Minnie, and they don’t count. Heck, it doesn’t even look that much like Minnie (it’s all blurry, distorted, and full of compression noise). While we’re at it, the hidden Eyeore in this attraction doesn’t count either, so stop sending us photos. That’s it for this time. Thanks, Official DisneyLies Photo Correspondent! 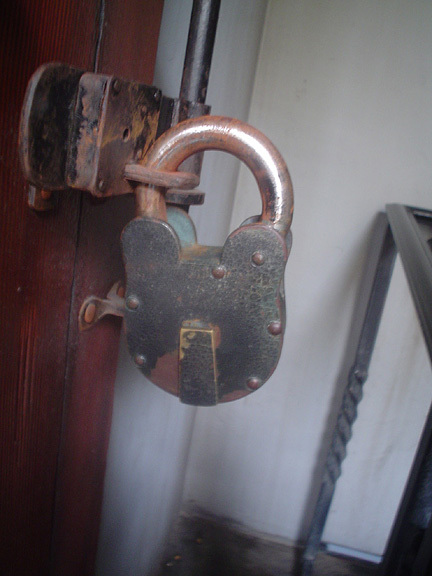 This entry was posted on Monday, March 24th, 2008 at 9:18 am	and is filed under DL Resort, Hidden Mickeys, Photo. You can follow any responses to this entry through the RSS 2.0 feed. You can leave a response, or trackback from your own site. Just an FYI the both of the hidden Eyeors in the Indianna Jones Queue are making reference to the Eyeor section of the parking lot that the ride was built on.